If you believe in karma you sometimes wonder what some creatures did in a previous life to deserve their present state. Questions like this riddle the brain when you travel in Morocco. For example, what creature deserved to be reincarnated as the Moroccan donkey that suddenly collapsed dead in front of my van under a load of two tonnes of cement causing a horrific traffic jam in Marrakech. 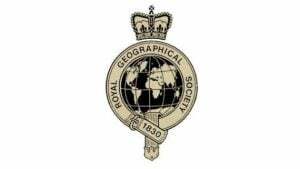 An even more severe example are those who revisit this earth as Berber women, the hardest working souls in Northern Africa, whose husbands lounge in the tea and coffee shops sipping strong brews and generally do nothing. 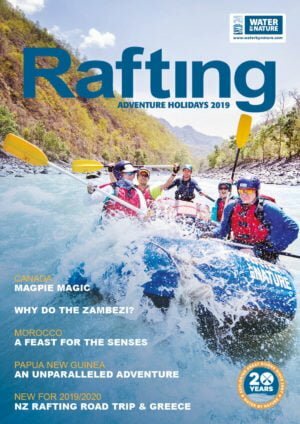 Yet another example of severe karmic debt repaid in Morocco are those Water By Nature guides who experienced the most difficult rafting and kayaking season to date. Morocco is a beautiful country with a rich culture, varied geography, and interesting people. It is a land that is not quite Africa and not quite Europe. Some say its Islamic roots classify it with the Middle East but even still its geographical displacement keeps it separated from this region as well. As a result, this No Man’s Land of a country is a unique destination. In addition to the cultural and geographic variations of this interesting land there are abundant opportunities for outdoor adventure. Surfing, kite boarding, and windsurfing dominate the beaches in Morocco while trekking, rafting, and kayaking are found throughout the snow-capped Atlas Mountains. 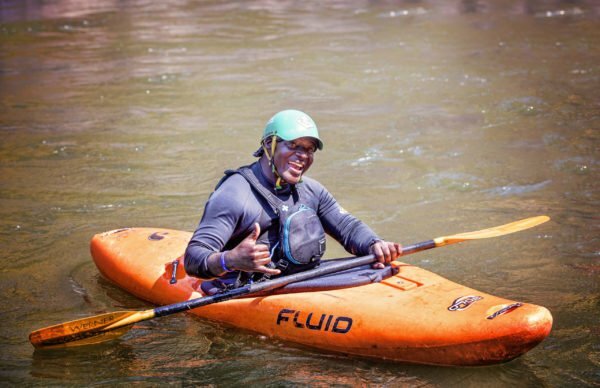 For the Water By Nature Morocco crew this year it was the appeal of rafting and kayaking in a destination that is so different from other places that landed us in Sunny Morocco. Sunny Morocco was a bit of an ongoing joke amongst the crew this season. For the past ten WBN seasons in Morocco the weather, and in particular the sunshine, was as constant as the local children’s demands for d’argent, stylos, and bonbons. This guaranteed weather created the right water levels to run amazing trips on the Oued Ahansel. However, this season was entirely different. Regardless of whether you put the blame on global warming or the past sins of all the WBN river guides, the strange weather patterns and climatic changed experienced in Morocco this year was something that had not been experienced in over 50 years! 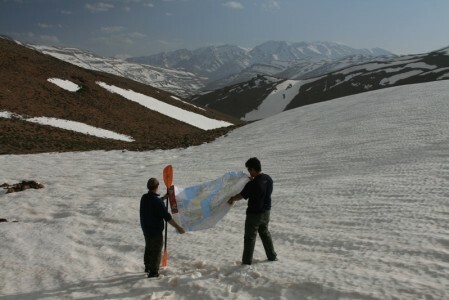 Snow on the Atlas Mountains is not a unique thing. In fact, some of the higher peaks, those over 4000 meters, have snow on them year round. But what made this year unique was the amount of snow. Typically, spring begins sometime in February and by the beginning of March, the usual start of the rafting season, the snow line has receded significantly and the rivers being fed by these snows are finishing their flood stages. This year, the snow continued to fall until April and the snowfields only began their recession toward the end of April. That, combined with heavy and frequent rains, kept the rivers of the High Atlas in flood stage for over two months. For some rivers flooded is better than normal. However, for the rivers coming off the steep slopes of the Atlas, flooded means dangerous and unraftable whitewater. On the Ahansel River the water was flowing through the trees, about three meters above the normal riverbanks. Bridges were washed away. Villages were flooded. And rafting was cancelled. To give an idea of what the river was doing its best to compare a reconnaissance run with a normal descent. 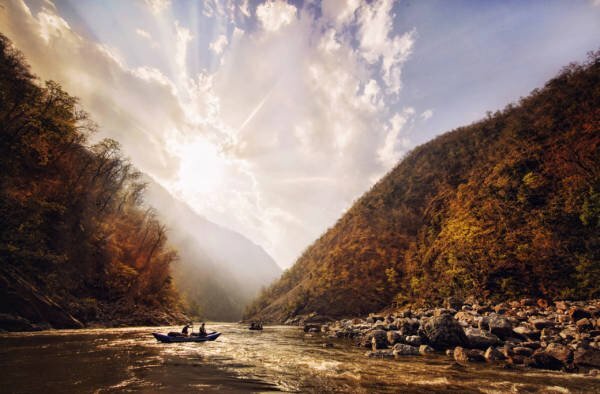 On a normal trip the sixty kilometers of river takes about 4 days of paddling. On a flooded descent the 60 kilometers took two Water By Nature kayakers a mere one hour fifty-eight minutes! So what do you do when you can’t go rafting? The answer is to explore other rivers for a similar type run. Our explorations were an adventure, and a novel, in themselves, and for the most part, foiled at every turn we made. We were stymied by high water in other drainages; the most accurate road map of Morocco seemed to have forgotten a lot of key roads, bridges, lakes, and dams that were essential for our navigation of the country; and local knowledge regarding what could be a possible rafting river was hard to distinguish with what could be a possible drainage ditch running through a densely populated town (one extreme), or a nearly vertical mountain stream that would be death to any fool who’d attempt it (the other extreme). The result was a lot of frustration, a lot of wasted time, and no river for rafting. 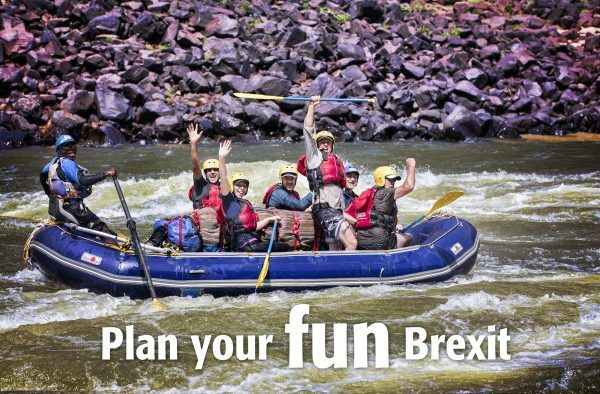 So, how do you run a rafting company when you can’t go rafting? That’s a hard one but thankfully we were in a country that provided a bunch of fun and interesting alternatives. Water By Nature clients and guides were able to explore Morocco a lot more comprehensively than a typical river trip would provide. Some explored the beaches of Essouoaria and tried their luck in the surf with kayaks and surfboards. 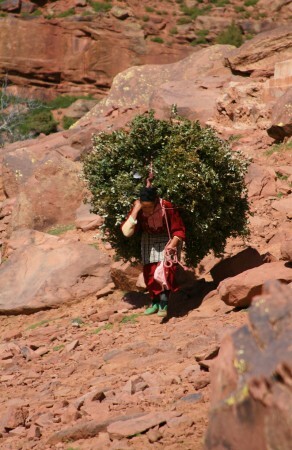 Others trekked into the High Atlas and investigated Berber culture firsthand with cultural home stays. We had kayak schools hone their skills on the waters of Lac Bin el Ouidane and mellow sections of the Oued Allabid. Some groups explored the fringes of the Sahara Desert on the backs of camels and camped beside the Erg Chebbi, Morocco’s highest dunes which tower more than 100 meters high. Everyone explored the intricacies of Marrakech, the markets, the souks, and cafes, and of course, the shops. And by the end of the season, we were able to send a few adventurers on accessible sections of the Ahansel River for some class 2-whitewater rafting. The alternative plans we came up with as a team provided for fun and interesting times for all those involved. The fact that these plans deviated so far from the norm is what made the season difficult for the guides involved. Not being able to follow a system that has worked efficiently for 10 years was frustrating. Not being able to go rafting was even more frustrating. Having to do a new type of business in a place like Morocco is challenging at the best of times, and downright hellish at the worst of times. Nevertheless, we pulled it off! And successfully too! Karma is a strange thing. Unlike the Moroccan donkeys, we were able to escape a life-long existence in a difficult time. Maybe what we did in a previous life wasn’t that bad. If that’s the case, they you can bet we were definitely not raft guides in the last life!